It has been an excellent year for modern dagga research. Lots of the propaganda and disinformation pushed forward by government paid organizations have been debunked and the latest research continues to debunk many myths people full heartedly believe to be true about dagga. Propagandists gave us cancer causing carcinogens and we knocked them back by vaporizing. Then along came Dr William Courtney who cured brain cancer in a 9 month old baby with juiced dagga and also reminded us that the THC Acid in dagga does not become active until it has been converted from THC Acid to THC by heating or otherwise smoking dagga. Early propagandists told us dagga is most dangerous and could be fatal. Later however the LD50 of dagga revealed that it is physically impossible to fatally overdose on dagga. In a study done in 2007 by Professor David Nutt he charted the harms and dependence of various drugs including tobacco, alcohol and dagga. Dagga is the least harmful and least dependence producing substance of these three drugs yet alcohol and tobacco is legally available to adults. In May of 2013 a study found that dagga may combat HIV and we learn of Marathon runner Henry Ngomezulu who cured his HIV with a dagga tea infusion. In the same month another study revealed that habitual dagga use is not linked to cancer and more studies in the month of May 2013 found that dagga may combat depression, diabetes, brain damage and even reduce the risk of bladder cancer. In the entire existence of man not a single person have died because of a dagga overdose. The scientific evidence clearly indicates that dagga is indeed not only safe but is also a beneficial herb & supplement to aid humanity. Prohibitionist’s Food for thought for; If you really believe dagga is dangerous why do you keep dagga in the wild where any person desperate enough sells without an age restriction? Johannesburg – An Mpumalanga mother who fed her 8-year-old son dagga was sentenced to two months’ imprisonment by the Tonga Magistrate’s Court on Wednesday. Sophie Fikile Nkomo, 31, of Mangweni village near the Swaziland and Mozambican border, pleaded guilty to possession of dagga, a Sapa correspondent said. Asked why she was contradicting her plea statement, she told the court she was illiterate.”Your Worship, I didn’t go to school but I know how old my kids are and which grades they are attending at school,” Nkomo told Magistrate Hazel Khoza. She told the court she had used dagga to heal her son from a chest ailment. “My inyanga told me to get dagga and cook for my son to drink because he was concerned that my son was not getting better,” she said. She also apologised for getting into trouble with the law. Khoza said Nkomo was only sorry because she was caught. She said the mother of three had exposed her children to drugs. “You put your son’s life at risk by giving him dagga liquid to drink and you exposed the rest of your kids to drugs at the early age. “We are on 16 Days of Activism Against the Abuse of Children and Women and you play a part of it,” she said. Khoza said Nkomo’s sentence would serve as a deterrent to the mother of three. “I will give you a sentence that will make you run away when you come across people holding dagga in their hands or when you see a dagga plant growing in your yard,” said Khoza, smiling. Nkomo was arrested on 3 December when police found her in possession of dagga weighing less than a kilogram. The magistrate sentenced Nkomo to two months imprisonment with an option to pay a R2 000 fine. The sentence was suspended for five years. “Lady, you are a single mother. I will give you a suspended sentence to go back home and take care of your kids,” Khoza said. A woman battling her 5th bout with cancer has been arrested & her medical dagga confiscated by the PE flying squad. PORT ELIZABETH – On the 15th of November the PE Flying squad, for a second time this year, raided the home of husband & wife, Darryn & Tonya Thomas. The couple, who are both qualified natural healers and medical dagga care-givers, were first raided at their home in January earlier this year, where police arrested Darryn for possession of dagga and confiscated 93 dagga plants as well as 400 grams of medical grade dagga. A care-giver, in the medical marijuana business, is a person who grows medical dagga for patients who otherwise cannot grow it themselves. Care-givers do not grow dagga for profit. According to the medical dagga couple they do not sell the dagga. They provide medical dagga to their patients free of charge. 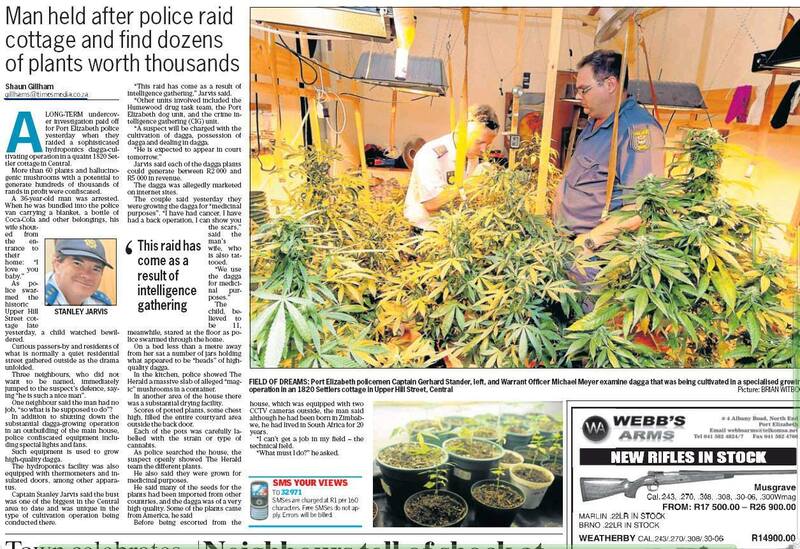 The police, who knew well that the couple does not sell dagga, waited long enough for the couple to grow more medical dagga before raiding their home a second time. On the 15th of November police arrested Tonya for possession of dagga and confiscated a large number of dagga pants. Tonya, who is also a medical dagga patient, is battling her fifth bout with cancer and is at a very critical stage of treatment which if unsuccessful may turn into a more aggressive form of lymphoma. According to the police officers the dagga plants were not pulled because they have to be sent away for “testing”. To add to the suspicious behaviour of the police, the only growing equipment confiscated were light reflectors. 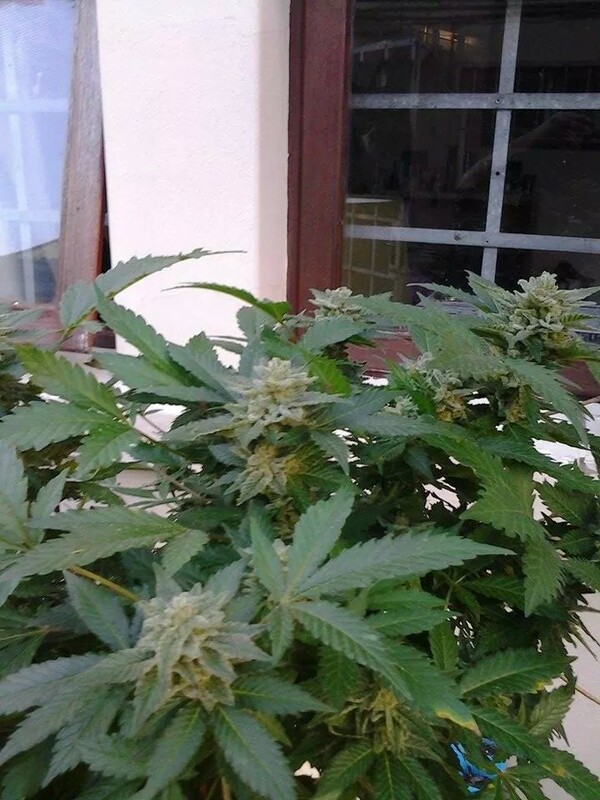 The growing lamps and ballast were left behind as if to license the couple to grow more dagga for the police to confiscate, without a thought being afforded to the patients who rely on a quality supply of medical dagga, nor is any consideration given to the health and well being of the woman risking her livelihood to assist her patients and herself. 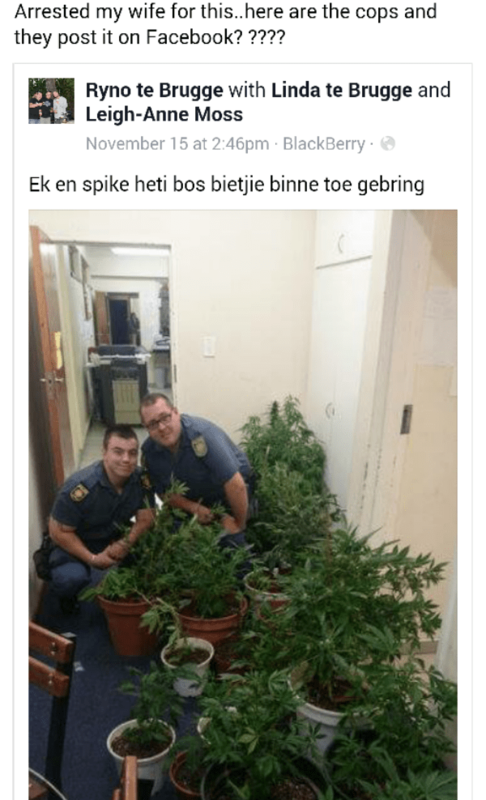 To add insult to injury mainstream news did not report on the injustice towards medical dagga patients, instead one of the officers boasted by uploading a photo of the dagga plants, as they stand in a line-up growing taller by the day at the police office, to social media. It’s the question on the minds of many Colorado residents — and on the minds of many visitors to the state. After all, Colorado was one of the first states to legalize the recreational use of marijuana, opening the door to a $1 billion local industry(that’s factoring in the sales of medical marijuana, too). And while Colorado residents can legally cultivate cannabis at home, much of the pot trade — for locals and tourists alike — occurs at the retail level. In other words, welcome to your neighborhood dispensary. But what’s it like to visit any of the hundreds of dispensaries located throughout the state? To get an idea, I stopped by one such place — the newly opened Terrapin Care Station, a recreational (as opposed to medical) dispensary in Aurora — while in the Denver area to cover (what else?) a marijuana trade show. And, yes, it was quite a trip, but not necessarily in the expected sense. If anything, a visit to a dispensary is full of surprises that have little to do with getting high. Rather, it’s a study in how marijuana has become a mainstream commodity, but also an extremely regulated one. Sure, you might occasionally get carded at a nightclub. But at a Colorado dispensary, you’ll definitely be asked to show photo ID, even if you’re old enough to be an AARP member (I should know — I am an AARP member). And don’t be surprised if the person checking your ID is an armed guard: Dispensaries are often run as cash businesses — many banks are hesitant to take their money since pot is not federally approved — so they usually put extra security measures in place. Oh, and if you don’t like being on camera, perhaps forego the visit altogether: State law requires that dispensaries record who’s doing all the buying and selling. Sure, Colorado state law allows recreational dispensaries to stay open as late as midnight. But cities often take a harder line — Denver, for example, requires they close at 7 p.m. Which means if you have a nighttime craving for marijuana in the Mile High City, you’ll be traveling outside it. That’s why I ended up visiting a dispensary in Aurora — about 15 miles outside downtown Denver. You read that right — a budtender. Like a bartender who serves buds (as in pot). And the professionals behind the counter at places like Terrapin are clearly trained to answer questions. Or more important, they’re trained to ask questions of customers to help in guiding the selection process. Key among them: Do you want a “head” high or a “body” high? Different types of marijuana — the major categories are sativa (head high), indica (body high) and hybrid (just as its name implies) and they’re listed as such on the Terrapin menu — will affect you in different ways. Apparently, being a budtender requires so much in knowledge, skills and savvy thatcannabis-centric schools teach classes in how to become one. And good budtenders are clearly valued: At Terrapin, I met the “Budtender of the Month” — one David C., who “enjoys long walks on the beach” and “making art and jewelry” when he’s not behind the counter, according to the store’s menu. There’s really no such thing as a cheap high. At a recreational (as opposed to medical) dispensary like Terrapin, marijuana in loose form will run about $18 for one-sixteenth of an ounce — the smallest amount that the store sells — and that’s before about 20% in state and local taxes (the store gives locals a break, however). Still, cheapskates can find deals by shopping from dispensary to dispensary. And some dispensaries even offer coupon savings. Also, if you’re doing the math: That one-sixteenth of an ounce will yield about two or three average-size joints, meaning you’ll be paying upwards of $6 per joint before taxes. When you make your dispensary purchase, you may feel as if you’re buying a prescription drug rather than pot. That’s because dispensaries are required to put all pot in childproof packaging. But unlike those clear pill bottles at the pharmacist, the marijuana container must not be see-through. My pill bottle (er, pot bottle) was as white as the Colorado snow. Don’t think you can take a toke in the dispensary. Dispensaries aren’t like bars — or cigar shops, for that matter. You’ll have to enjoy your marijuana outside. But not on the literal outside, because that’s problematic, too. (To quote the Denver Post: “Public consumption is banned, banned, banned and probably prompts more anxiety from public officials than just about any other topic.”) And you can’t smoke in public indoor spaces, either — pot smoking is subject to the same clean-air restrictions as cigarette smoking. Which leaves you the option of smoking in your home, but that still puts tourists in a bind. Still, some hotels have found ways to accommodate smokers, according to the Denver Post. If you’re an out-of-towner, forget about bringing home any souvenirs. Dispensaries will be the first to tell you that’s strictly forbidden and could result in a trip to jail. Yes, dispensaries sell more than pot. And more than pot paraphernalia. At Terrapin, they carry T-shirts with the store’s name and logo. And at $15 a pop, they’re cheaper than the pot. Russel says he loved smoking weed but then he got confused.